I’m back at it! After 2 weeks off, it feels good easing back into training. 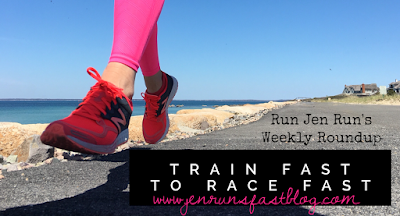 My next goal race will be the Buffalo Half Marathon in May but I am also running a half in Newport on April 15th. I will treat Newport as a training run with my focus on ringing that PR bell in Buffalo. I started the week off with 3 miles on the treadmill. I dug up an old workout from Eric and intended to do it two times through but OH EM GEE I was already sore and starting to feel cramping coming on after only 15 reps of each exercise so I called it a day. Don’t want to overdo it. Hey, gotta start somewhere. I was going to do a complete repeat of Monday’s run and workout on Wednesday but I was still SO SORE. I got in the 3 mile run, thinking maybe I would TRX a little Thursday morning but NOPE—still sore. It was horrible. I finally felt back to normal on Friday but it was a wake up call that I need to be doing more strength training. Friday I brought Georgie out for another 3 miles. That was never the plan but she was running so well and wasn’t stopping. That was not the story on Saturday. I thought maybe I could get 2 miles out of Georgie then run 5 alone but she was not having it. She was excited to get out the door but end of the driveway she refused to go either direction. I got her to just walk for a while then a eventually slow trot but it was literally one of the worst run/walks we’ve ever had. Every few houses she would stop in the middle of the road and refuse to go any further. We’d turn around and she’s walk a few houses then sit in the middle of the road again. She didn’t know where she wanted to go and for an “elapsed time” of 27 minutes, we were only “moving” for 9 on them. Who knows what was up with her! After what seemed like forever to get back home, I headed back out for an easy 6 miles. It was my first real outdoor run since Miami and I’m not going to lie, it was a struggle. My legs were heavy but I got it done. 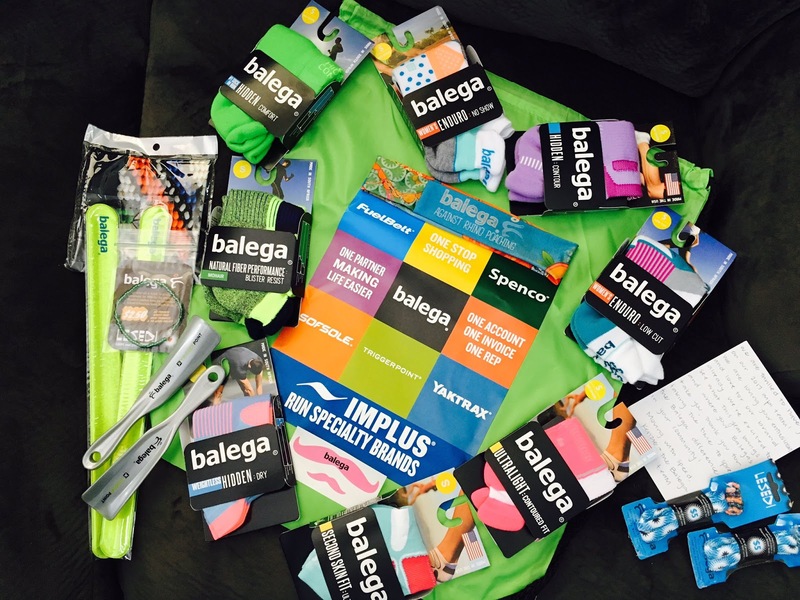 · I’ve been selected as a 2017 ambassador for Balega. What’s Balega? Pretty much the best sock brand ever. Their products are manufactured in both North Carolina and South Africa and the ambassadors are called Impis—which is a Zulu word meaning “warrior.” I received the Impi welcome package last week. It was filled with 8 pairs of Balega socks along with some other fun accessories like the Lesedi bead bracelet, which is made by the children of the Ethembeni School in South Aftica. Ethembeni means “place of hope” and is a home for 300 severely disabled and disadvantages children. The Lesedi Project directly supports the children at the Ethembeni School. Pretty cool. 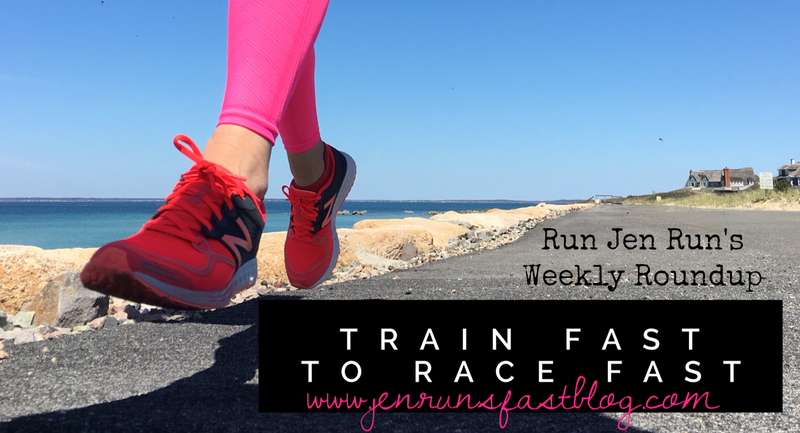 · 8 weeks until the Newport Rhode Race! It's always hard coming back from a break and I feel you on the lack of strength training. Whenever I lift anything, my legs are sore for days afterwards. My dog does that same thing every time I try to take him out on a run as well. I want him to be my running partner, but I don't think he feels the same. 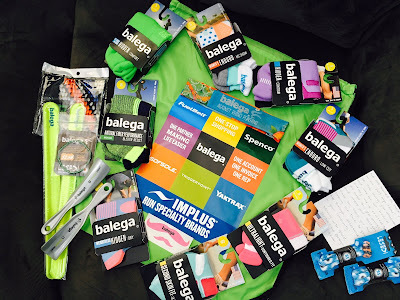 Congrats on the Balega Impis, I looooooooooove Balega socks and they sent you 8 pair for free? That would feel like Christmas morning to me! Georgie hasn't done that since she was a puppy! I can tell she enjoys running with me but it's still a work in progress for sure.